With January only a week away, are you bracing yourself for the winter doldrums? From short days to long, cold nights, winter can spell depression or irritability for too many of us. Luckily, there are simple ways to keep your spirit up. 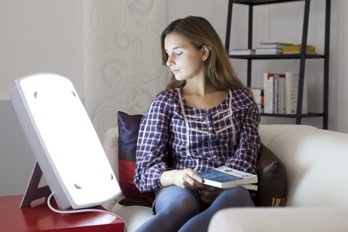 Have you heard about light therapy? It’s basically a bright lamp known as a light box, that mimics natural outdoor light. Available online in a variety of sizes and shapes, light boxes are thought to help brain chemicals linked to mood and sleep, easing symptoms of seasonal affective disorder (SAD). Light therapy may also help with jet lag, sleep disorders, dementia, and other types of depression not linked to the season. Luckily, investing in your own light box shouldn’t break the bank. There are many affordable options online. A proven energy booster and mood elevator, vitamin B also helps to regulate your metabolism. For optimal absorption of this trusted vitamin supplement, we perform B12 injections. If you’re feeling sluggish and generally unwell, it may be time to test yourself. We offer the Antigen Leukocyte Antibody Test (ALCAT Testing), a blood test designed to detect and identify environmental and food intolerances. Certain sensitivities and intolerances can remain undiagnosed for years because they fail to appear in routine allergy testing. The ALCAT test can change the lives of people who are suffering from intolerances and experiencing chronic ailments as a result, from chronic fatigue and migraines to rosacea and eczema. By identifying your triggers, you can avoid them and enjoy long-lasting relief and wellness. Taking time for yourself and scheduling a favorite medical spa treatment is another proven way to lift your mood. To learn more about our treatments, please call 918.948.9639 or schedule your personal consultation today.